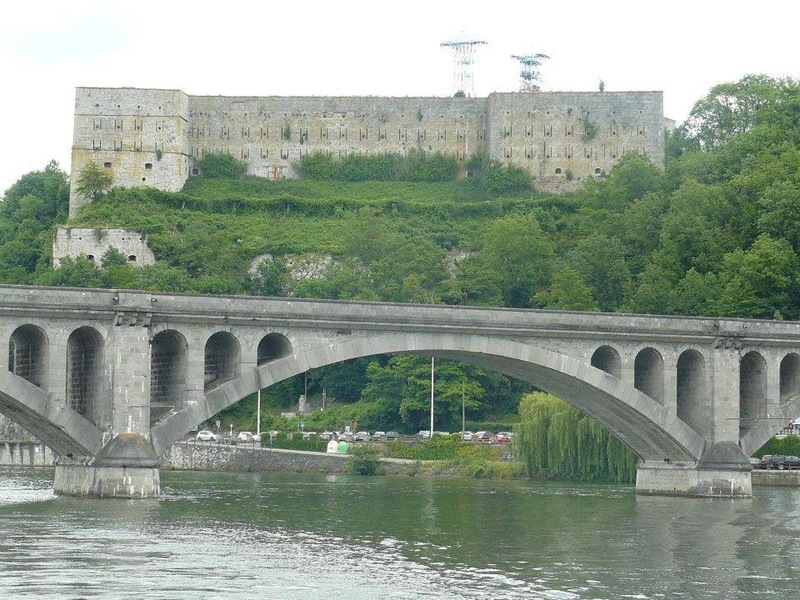 R. FURNEMONT states that the fort has a length of 148 meters facing the Meuse , 107 meters from the side of the city , 44 above the valley Hoyoux . Once on this site stood the old castle , Tchestia II , whose origins date back to at least the ninth century , enlarged by Raoul Zahringen and John Flanders , embellished by Erard de la Marck , often served as a refuge for the Bishop of Liège. After the wars of Louis XIV in 1715 , the Treaty of Barrier ordered its demolition. The right bank of the Meuse, a winding footpath leads to the Fort . On the left , a memorial commemorates the victims of wars, during which the fort served as a prison . A leaflet published by the Syndicat d’initiative will help for his visit. This is especially painful and horrible the second plane who still remember World War : stamps , interrogation room , internment rooms … A series of these rooms have been furnished ( photos , documents …) for evoke World War II but also in Huy spent Tchestia .